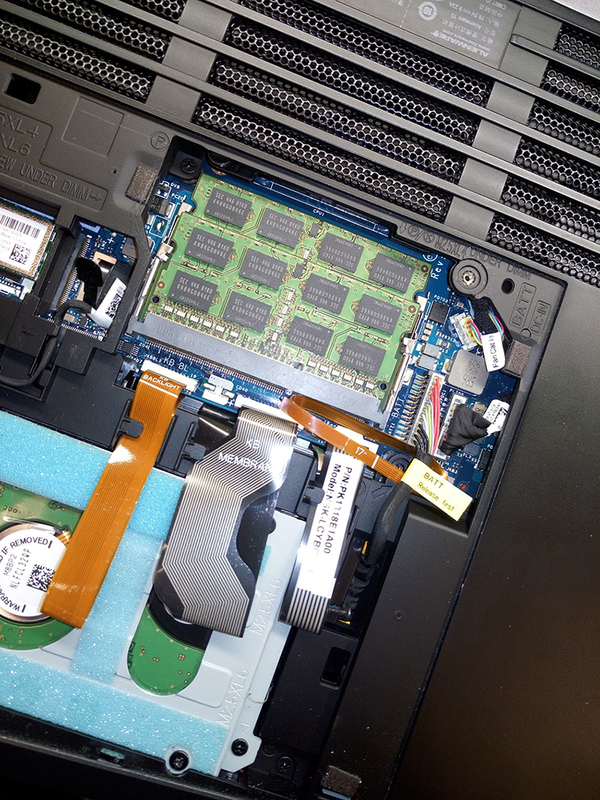 Alienware 15 - Assembly issues, visible sparking, dead LED... Really?! I've had my Alienware 15 Since June of 2015. After this Christmas, it developed a bit of a rattle, which I have had before in one of my Toshiba's where some of the plastic fan grill broke off and fell inside to create a sad type of maraca. I treat my PC's very well, and have my old Alienware from 2002-ish still in service. 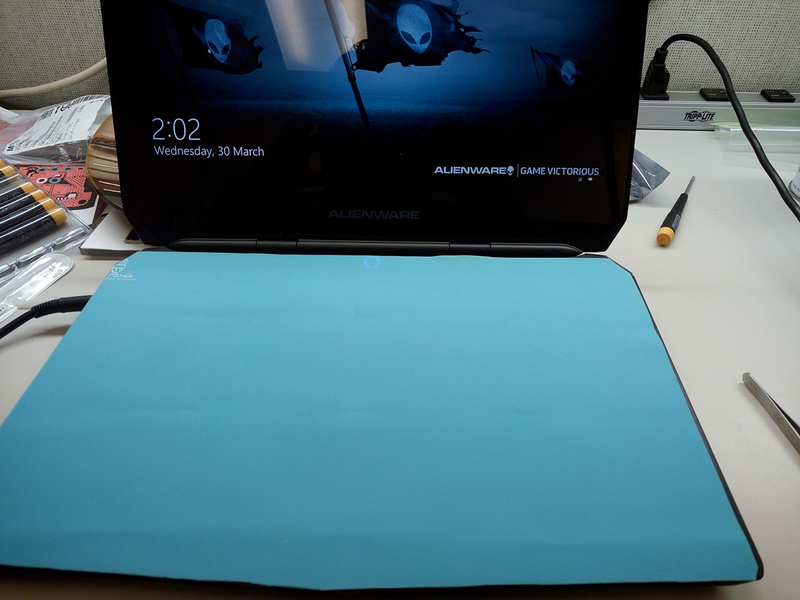 I even have a piece of silicone cutout to go between the screen and keyboard so that the keys don't imprint on the screen, and if I am not using the laptop it is stored in a ThinkGeek Bag of Holding which is fully foam lined and zippered. So it is very unusual for something like this to happen. Shortly after the rattle, my right front side LED for the Alienware FX stopped working but the left one was still on. So I disabled those two lights because the asymmetry was killing me. Huge bummer and pretty *** about that on a laptop of this calibre. Yesterday the rattle became different, it was unmistakably a screw loose on the inside. As soon as I realized that sound, I shut her down, and flipped over to remove the cover hoping the screw was at least accessible. The cover is on there pretty tight and after unscrewing the two closing screws and carefully prying up the cover, the last bit jerked the laptop just a bit. As I removed the cover, I visibly saw sparks and heard the cackle. Whoa... That's not good. And immediately I found the screw! It is laying across the always live battery connection and touching some metal shield which is most likely grounded. On one hand I am lucky the screw was there and easily accessible but I was pretty angry that the screw was loose. I've never man handled the machine. But maybe I did something. This is probably what caused a few bluescreens considering it is so close to the RAM and a few failed standby resumes for the same reasons. Probably also why my FX light went out. Now I am really bummed, stupid screw. So I put it back in the empty hole I find. I put the cover back on and flip it back over and I hear something. Not loud, but something. I immediately turn it over and re-open the cover and start looking. Look again what I found! 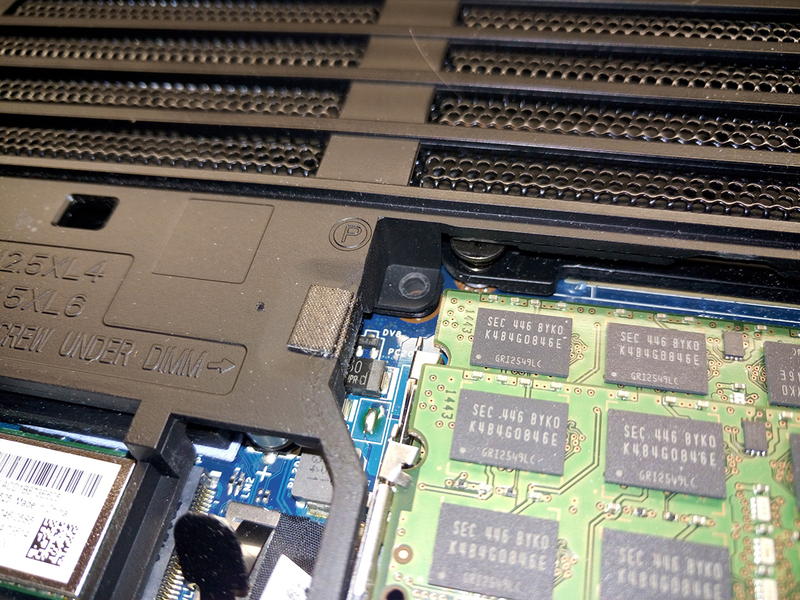 It is hard to spot, but you can see ANOTHER screw to the top left of the RAM is full in place. Now look on the battery wire bundle to the right of the 3 flex cables just to the right of the hard drive. 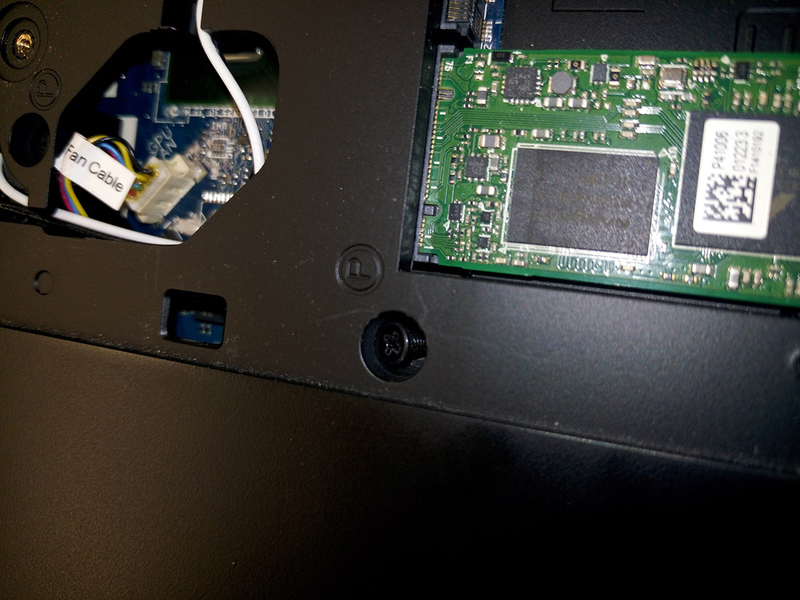 Ok, two screws, what the heck happened to this laptop? I bought it brand new, factory sealed, and I have treated it like royalty, and now i have two screws rattling around inside 9 months after I buy it. Ok, so now I am on the hunt. What else is in there? So I go through and look at all the screw holes to make sure the screw is in there. Very first hole I look at, there is a screw in there, not screwed down at all. It is leaning over crooked, so it isn't even threaded, so it never got screwed down at all. The other screws, every single one that was that length I could find, was loose so I tightened them all down. I then shook the whole laptop like a madman and nothing made a sound, so that's good. But what else wasn't assembled in my laptop? I am convinced that this is why I have a broken Alienware FX LED. 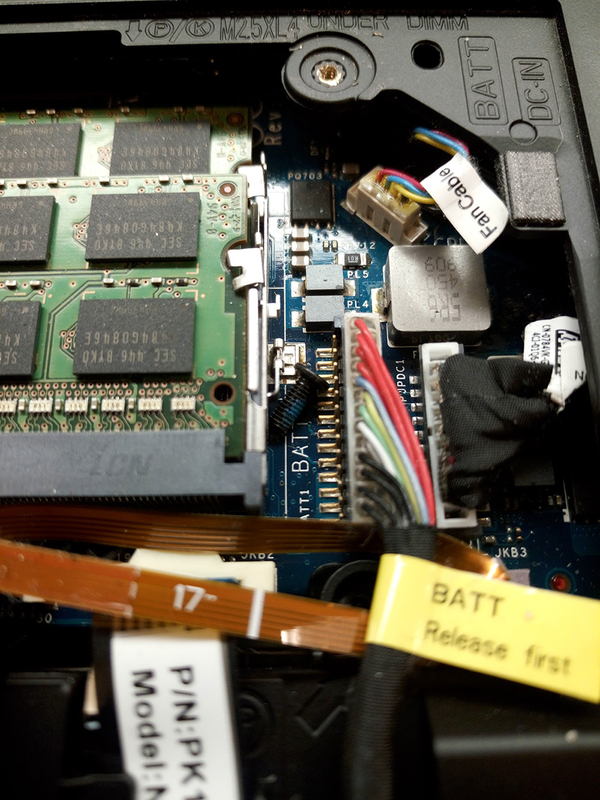 At least two screws have been rolling over the motherboard for a few months shorting out the RAM and battery and who knows what else. On a machine like this at this price, I shouldn't need my screwdriver 9 months after purchase. Did the robot fall asleep the day mine was made? Did they forget to maybe screw down a heatsink perhaps? Who knows. For all I know this is an expensive laptop that could be bricked at any time because the robots were lazy on that day. 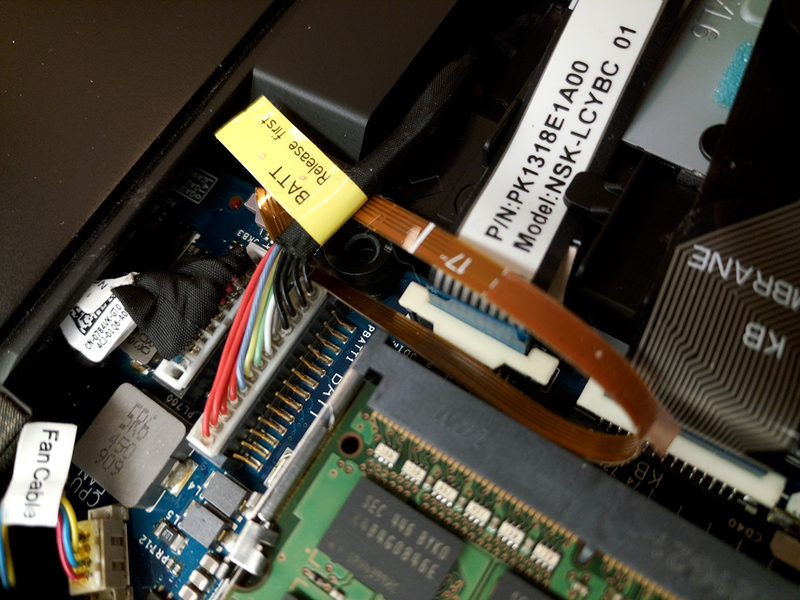 RE: Alienware 15 - Assembly issues, visible sparking, dead LED... Really?! Can you kindly let me know what Tool Kit (screwdrivers) you used to open your Alienware 15 ? I have the same model and need to replace the HDD but not sure what toolkit to use. A link to the Amazon product page would be really great. You are lucky!!! Mine just have burned battery 45 days after warranty period. One screw was loose next to battery jack and another on motherboard. From now I'm using it as desktop. I will only suggest anybody who would want to buy powerful laptop to go with some other brand. If they want to open new laptop or listen to Legal and Warranty agreement this is their right choice.